Differentiated achondrite meteorite: Mineral information, data and localities. 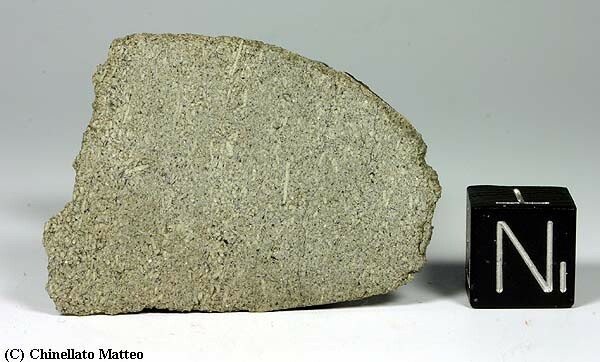 A stony meteorite that lacks chondrules and originated on a differentiated parent body. [Pallasite meteorite] Ramdohr, P. (1973) The Opaque Minerals in Stony Meteorites. Elsevier Publishing Company: Amsterdam; London: New York. 245 pages. [IIE iron meteorite] Meteoritical Society Database; Kurat, G., Varela, M. E., & Zinner, E. (2005). Silicate inclusions in the Kodaikanal IIE iron meteorite. [IIIAB iron meteorite] Meteoritical Society Database; D'Orazio, M., Folco, L., and Perchiazzi, N. (2004) The Bagnone iron meteorite (Tuscany, Italy): History, mineralogy, and chemical classification. Meteoritics & Planetary Science, 39(S8), A133-A138. [Pallasite meteorite] Seltmann, R., & Porter, T. M. (2005). The porphyry Cu–Au/Mo deposits of Central Eurasia: 1. Tectonic, geologic and metallogenic setting and significant deposits. Super porphyry copper and gold deposits: a global perspective, 2, 467-512. [PMG pallasite meteorite] Meteoritical Society Database; Fuchs, L. H. (1967). 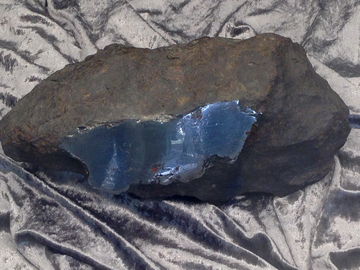 Stanfieldite: a new phosphate mineral from stony-iron meteorites. Science, 158(3803), 910-911. [Shergottite meteorite] Meteoritical Society Database; Jambon, A., Barrat, J. A., Sautter, V., Gillet, P., Göpel, C., Javoy, M., ... & Lesourd, M. (2002). The basaltic shergottite Northwest Africa 856: Petrology and chemistry. Meteoritics & Planetary Science, 37(9), 1147-1164. [PMG pallasite meteorite] Meteoritical Society Database; Buseck, P. R. (1968). Mackinawite, pentlandite, and native copper from the Newport pallasite. Mineralogical Magazine, 36(281), 717-725. [Aubrite meteorite] Meteoritical Society Database; Okada, A., Keil, K., Leonard, B. F., & Hutcheon, I. D. (1984). Schöllhornite, Na0. 3 (H2O) 1 [CrS2] a New Mineral in the Norton County Enstatite Achondrite. Meteoritics, 19, 284.